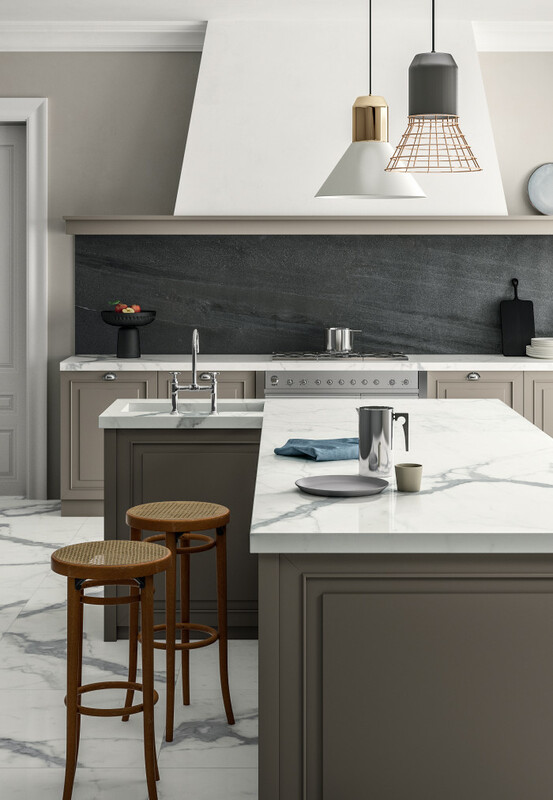 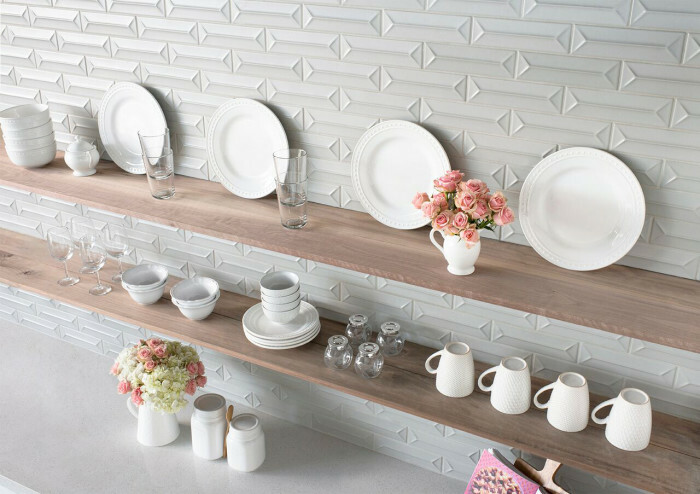 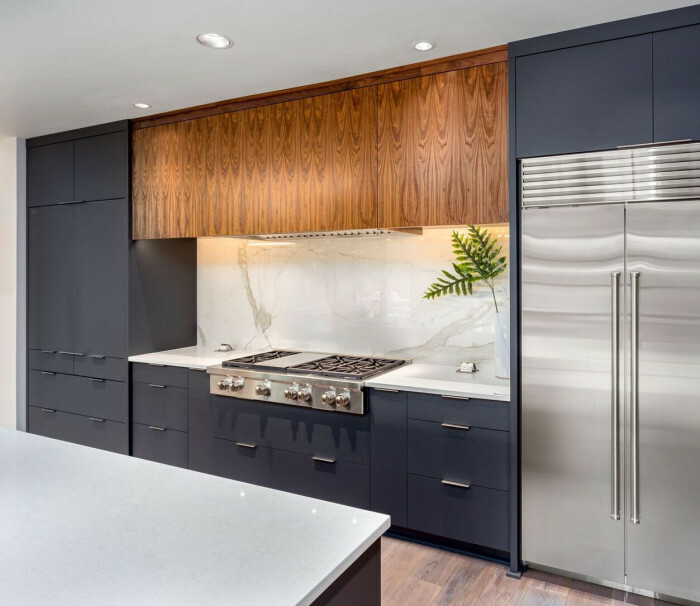 Backsplashes aren't just to protect walls from spills and splatters, they can be the most striking element of a kitchen or bathroom's design. 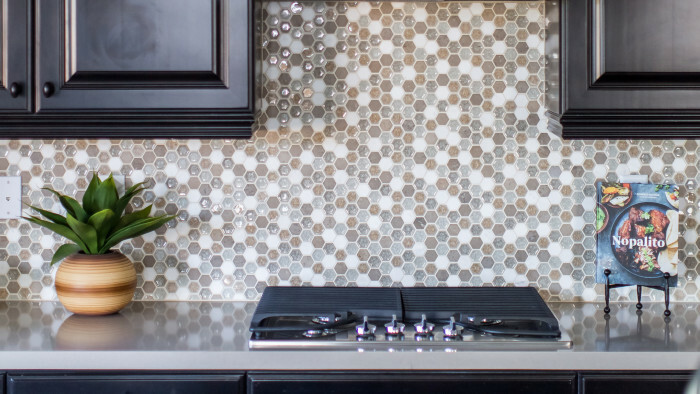 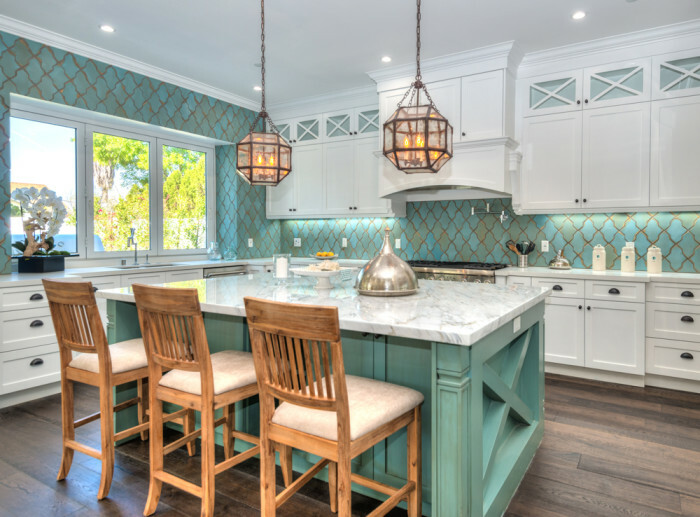 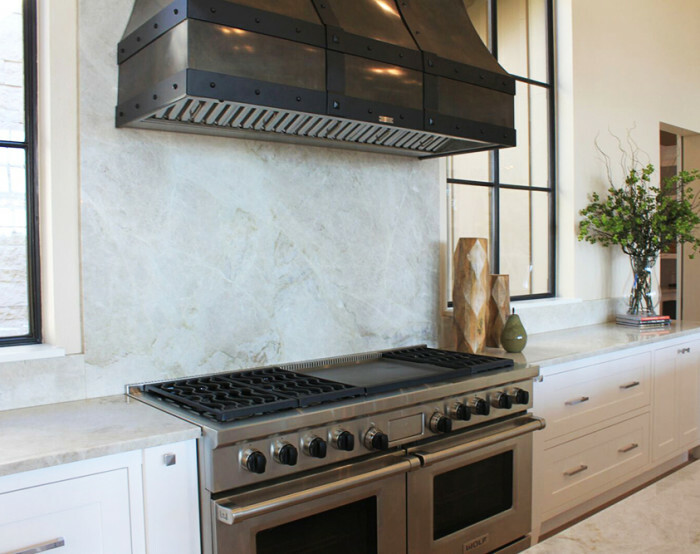 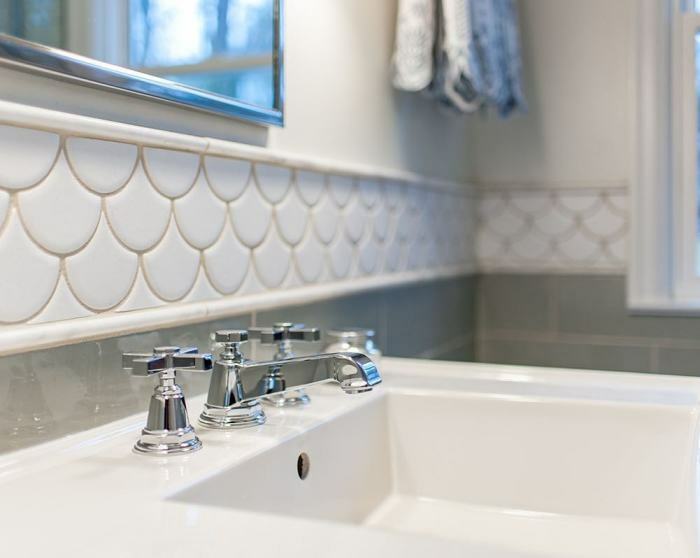 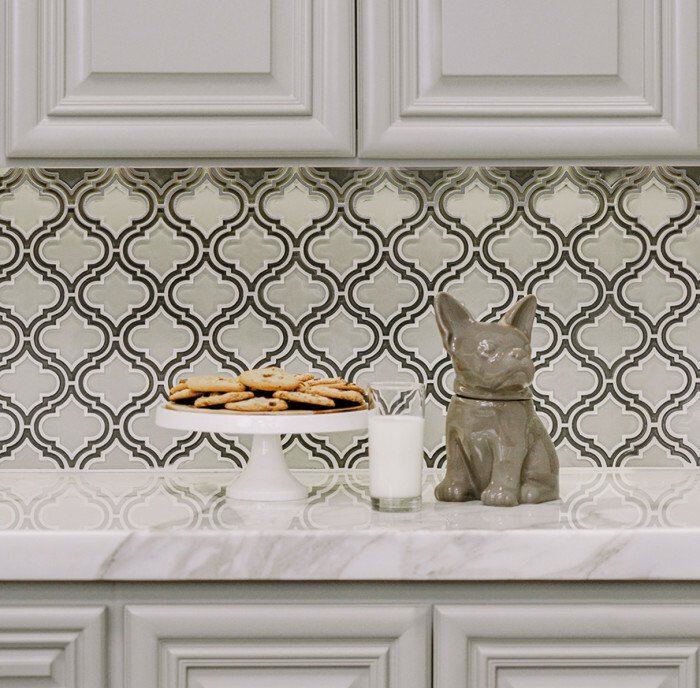 Check out these 15 designer backsplashes that wow from the moment you walk in the room. 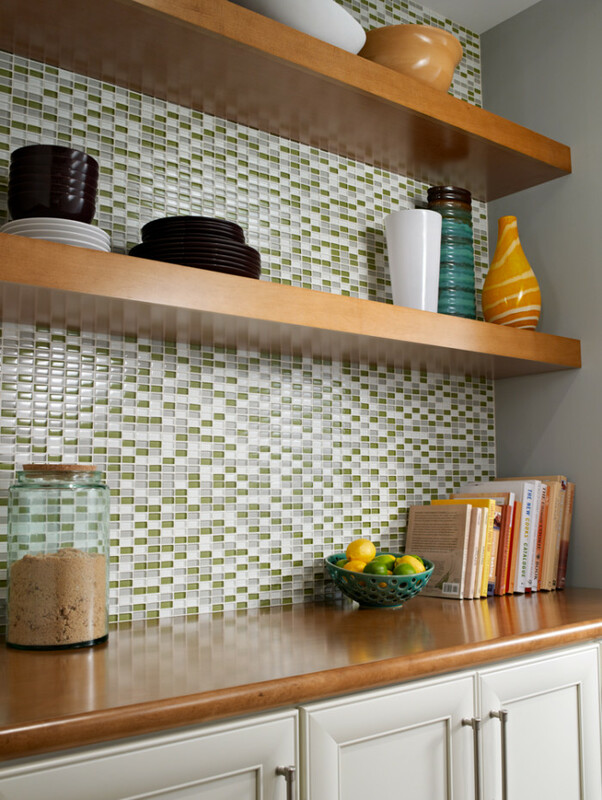 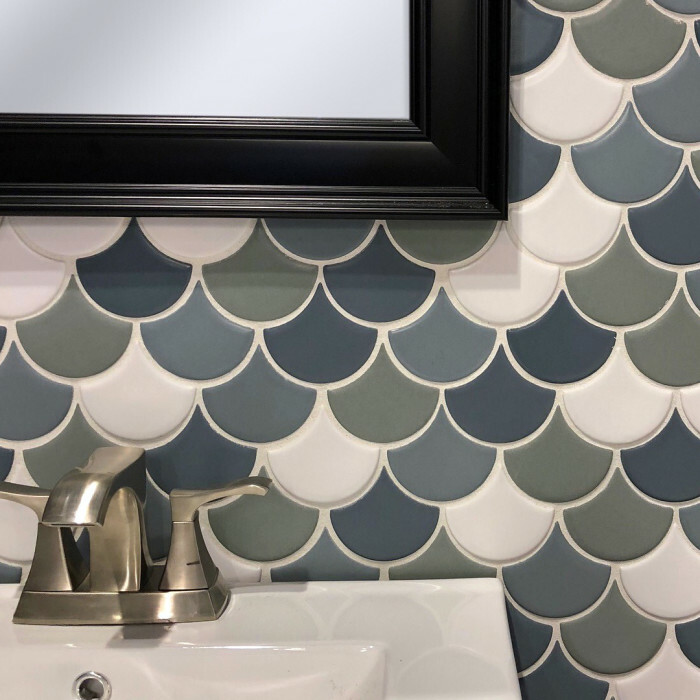 Available in an endless array of attention-grabbing colors and transparencies, glass tiles are a perfect option for making a bold design statement in an otherwise utilitarian space. 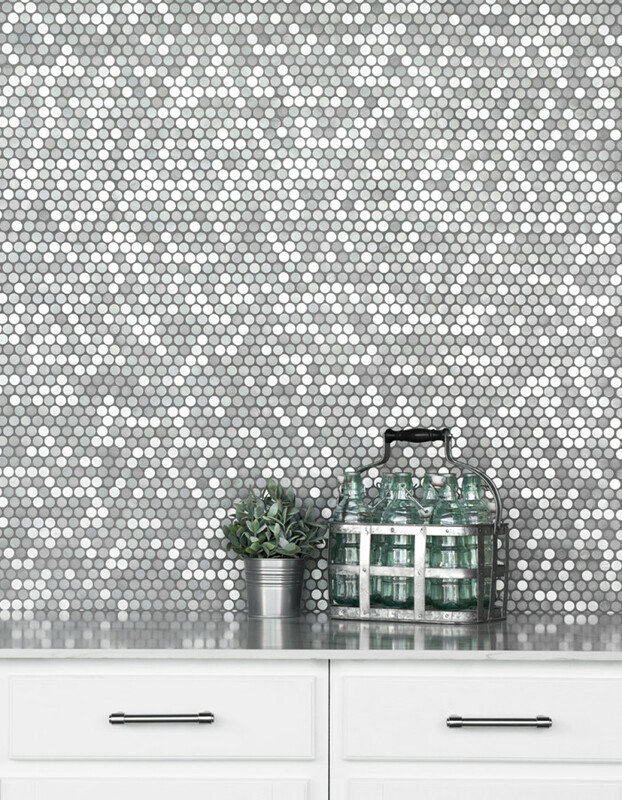 It also has the special ability to shimmer and sparkle, which bounces light around a room to visually expand the space. 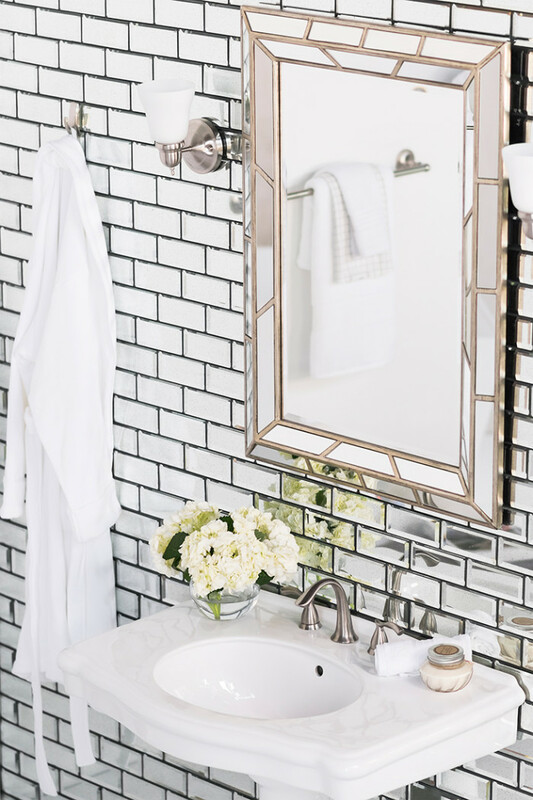 Whether geometric shapes are used loudly in a room or in a subtle way, they greatly impact the mood, tone and texture of your space. 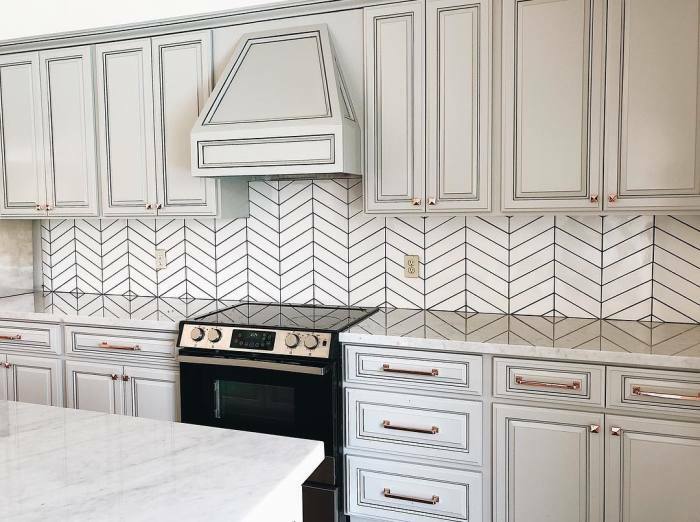 Simple shapes, like circles, chevrons, arabesque and diamonds, are incredibly versatile and will liven up your space and can even make it seem bigger than it actually is. 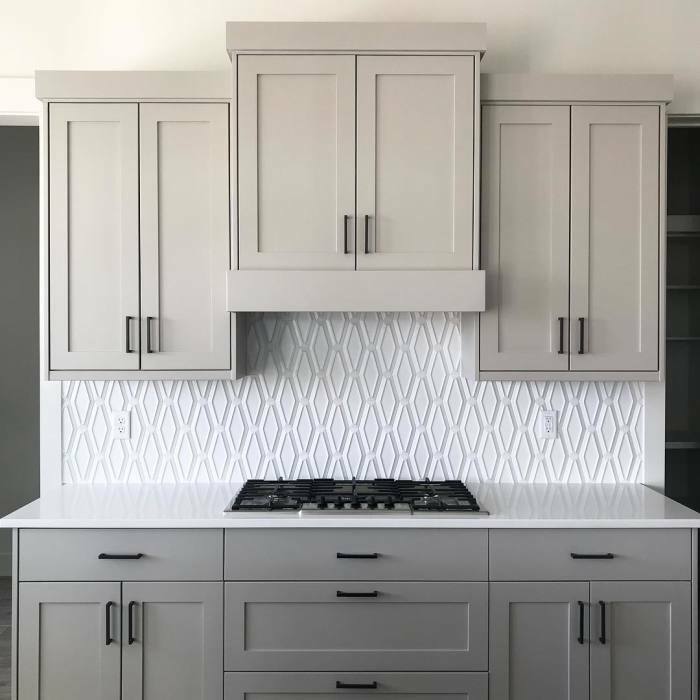 A sleek design that creates a seamless look by covering the entire backsplash - filling the entire 18" of typical wall space between the countertop and wall cabinets - with large format tile or natural stone slabs. 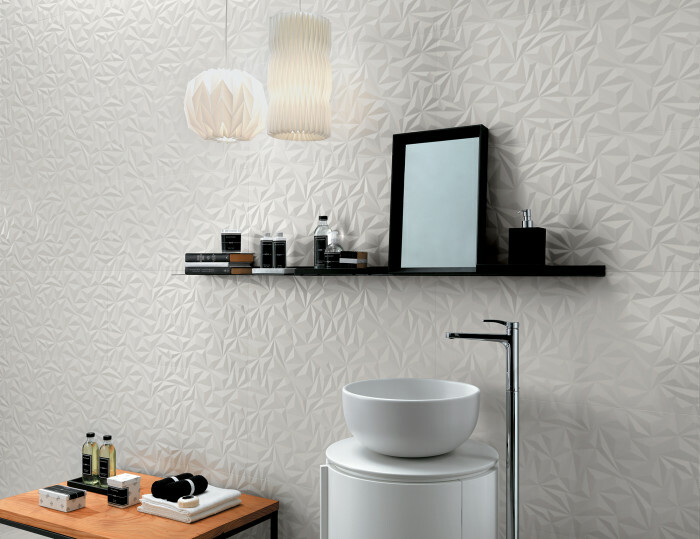 And for an even more cohesive look, cover the entire wall!